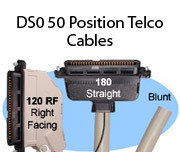 Stonewall manufactures a complete line of DS0 / DS1 Digital Signal cables built to the length you need. 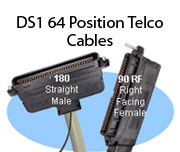 Our Telco50 and Telco64 cables are available in several configurations including male, female, and blunt style. We offer 26 AWG, 24 AWG, and 22 AWG cable with options that include a choice of 90 degree, 120 degree, and straight exit backshells. 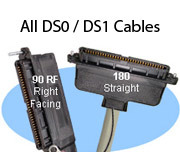 We also manufacture OEM equivalent Digital Signal cables. 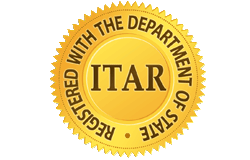 Please call or email if you do not see what you need.